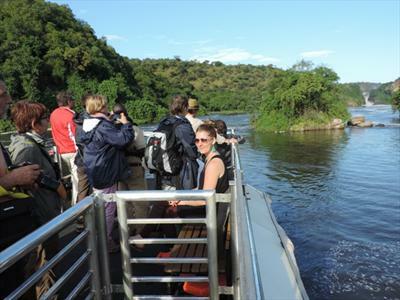 Trip Highlights: Gorilla Trekking, boat cruises, game drives, nature walk, visit to the top of the falls in Bwindi Impenetrable Forest NP, Queen Elizabeth NP, Murchison Falls NP. Day 1. Fly to Bwindi Impenetrable National Park, Kihihi Airstrip. 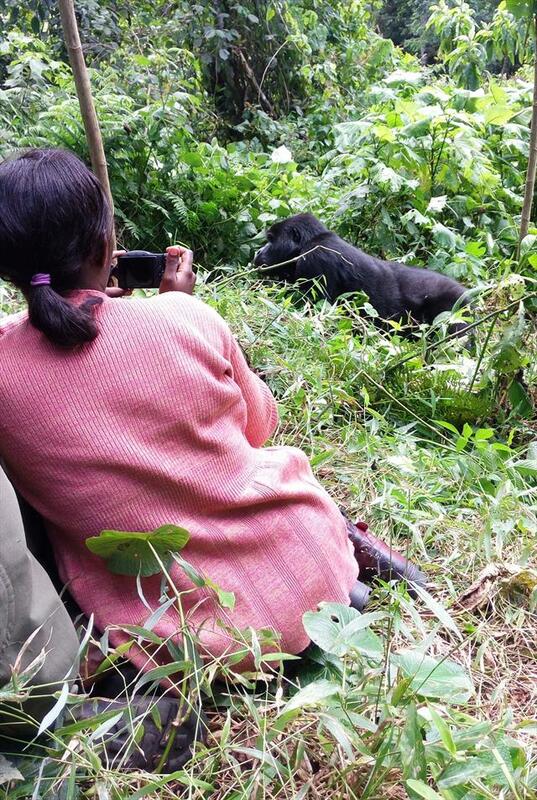 Day 2: Gorilla Tracking in Bwindi Impenetrable Park. Mubare the oldest family group with now 5 members, Ruheneza the only silverback as the head, Habinyanja group with 15 gorillas and 2 silverbacks which keep fighting for leadership of the group, Rushegura group with 9 gorillas and 1 silverback, the head, Nkuringo group with 19 members and 2 silverbacks who also fight for leading the family, Bitukura gorilla family is also part of the park with 12 members of the family containing 2 silverbacks, Nshongi gorilla family is another group in the park that may be seen during our tracking, it has 36 members with 5 silverbacks. 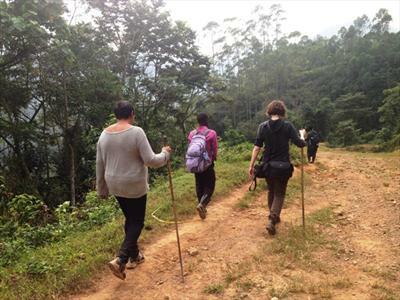 Day 3: Transfer from Bwindi to Queen Elizabeth National Park, by road. After early morning breakfast your driver / guide will pick you from your Bwindi hotel for a comfortable safe drive to Queen Elizabeth National park that boosts the highest biodiversity rating of any game park in the world with its dense swamps, incredible crater lakes, open savannah and rainforests. On your way, you will go through Ishasha where the famous tree climbing lions are found and if you are lucky you will see them. Arrive at the hotel before lunch, Check in, have lunch and rest for a while. In the eveining do a nature walk in Maramagambo forest where you will see a lot of birds, monkeys, waterbucks and so on. Return to the hotel, dinner and over night at Mweya Safari Lodge /Bush Lodge/ and Simba safari lodge. 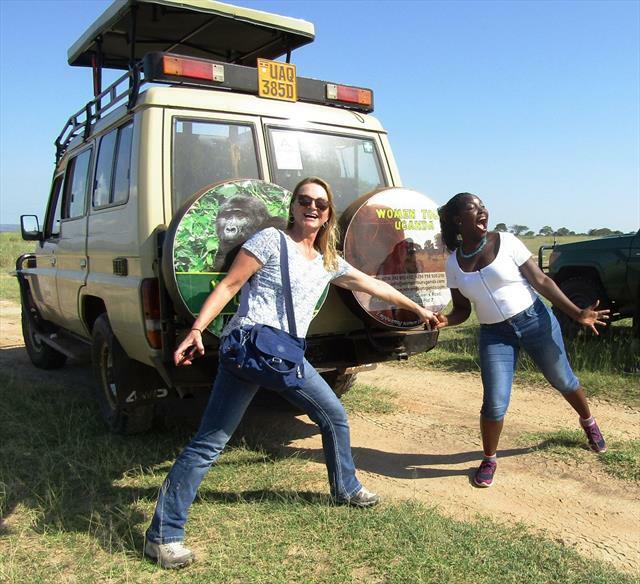 Day 4: Game drive and the Launch Cruise. An early cup of coffee to warm up the body for the morning game drive, observe a number of early risers like leopards, hyenas, lions, kobs, antelopes and many more will be seen plus birds like; Wood billed, Red collared, Green crombs, Yellow billed, Grey treated starting, purple indigo, Lender bill quelas, masked weaver, Grosbeak weaver, Copper sunbird among others. After a morning game drive, go back to the lodge for breakfast and rest along the pool as lunch comes. 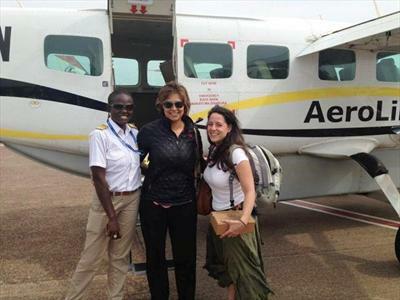 Day 5: Fly from Queen Elizabeth to Murchision Falls National park, Kihihi and Pakuba airstrip. A morning call for breakfast, check out of the hotel and drive to Kihihi Airstrip, check in on Aerolink Uganda departing at 9:45 arriving at Pakuba Airstrip in Murchison Falls National Park at 13:30 with a stopover at Entebbe International Airport. You will enjoy an areal view of Budongo forest on the western part of the rift valley, the river nile and murchison falls. The hotel will pick you from Pakuba airstip. On your way to the lodge, you are most likely to see some animals like, elephants, leopards, buffaloes, hyenas, lions and many more since Murchison has both big and small animals. Upon arrival at the hotel have lunch and enjoy an eveing game drive heading to the top of the falls. Dinner and over night at Paraa Safari Lodge / Bwana Tembo Safari Lodge / Red Chilli Camp. Day 6. Game Drive and boat cruise. check into the hotel waiting for your international flight departure. Our Driver guide will drop you at the airport.